HEARTFELT tributes have been paid to former Labour councillor Geoff Williams who has passed away peacefully after a short battle with cancer. The respected former Gorse Hill councillor was only diagnosed in the summer, just months after he stood down as a city councillor after serving local residents for 19 years. After a political career in Southwark in London, Mr Williams moved to Worcester with his family and worked for Coventry City Council until his retirement. He was elected as a city councillor in the former Holy Trinity ward in 1999 and then in Gorse Hill and was regarded as an influential voice within the party locally. During nearly two decades, he spent several years as chairman of the Scrutiny Committee and was also chairman of the Planning Committee. A cabinet member, Mr Williams also served as deputy leader of Worcester City Council. In a statement, Labour leader Coun Adrian Gregson said: “Geoff had had a distinguished political career as a councillor in Southwark before the family – including children, Amy and Gareth – moved to Worcester. 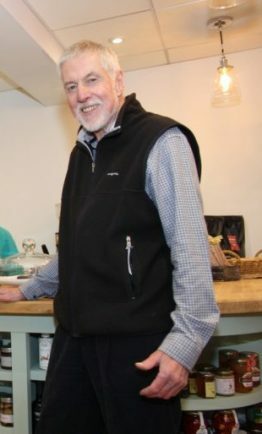 “Being a city councillor for 19 years he was most proud of his achievements on the planning committee, helping to shape the city and most especially chairing the committee when the plans for The Hive were approved. “Geoff was particularly keen on improving skills and opportunities for small businesses and economic growth in the city, creating real life chances for the people in his ward. “He held the ‘golden thread’, treating his ward work, planning applications and other council business as part of a strategic whole to improve and enhance the city. “Geoff and his partner, Moira, had been looking forward to spending time walking and holidaying and having their first grandchild, due this month,” he added. The news came less than a week after council chiefs honoured Mr Williams with the title of honorary Alderman for the city, his second such honour having already been awarded the title in Southwark. Mr Williams was a season ticket holder at Sixways and a keen cricket fan and the city’s former Labour MP Mike Foster tweeted his tribute to a ‘first-class councillor’. “A wise head to consult and a loyal friend. He will be sorely missed. My thoughts are with Moira and the family at this time,” he said.